Browse the complete range of Rapallo’s AV Reveivers. 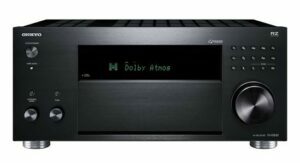 The amplifier all-in-one solution for the home theatre. 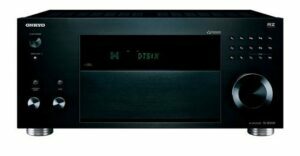 An AV receiver is a power amplifier and a pre-amplifier put into one unit that also allows you to route image through the receiver. 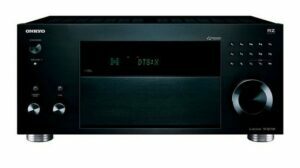 These days AV receivers service multiple ‘zones’ and come with a whole range of features and extra’s. Our range includes options for a wide variety of budgets and needs. 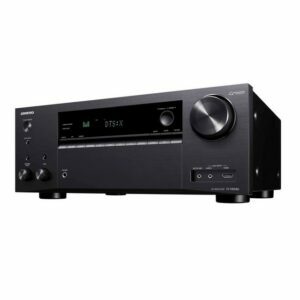 Whether you are dreaming of a simple 5.1 channel set-up on a budget or a full blown 11.2 AV receiver of the highest quality. Our knowledgeable staff will be able to advise you on the best solution. Feel free to visit our showroom for more information. Alternatively, send us a email or pick up the phone. We are here to help. 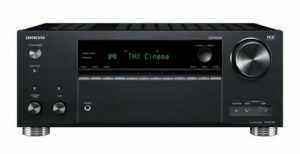 ONKYO TXRZ3100B 11.2 Channel 3 Zone AV Receiver.